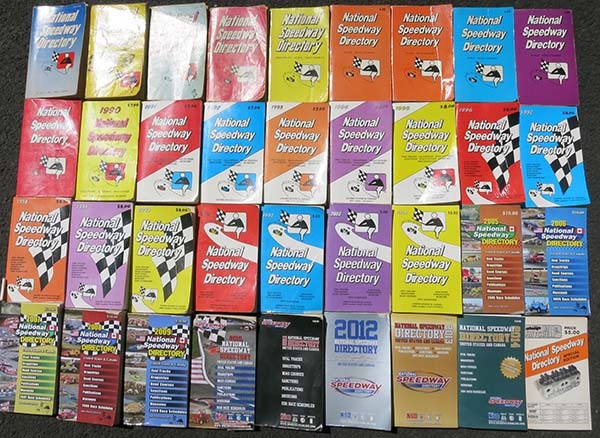 National Speedway Directory has been a supporter of the TrackChaser group for many years, both under the original owner Allan E. Brown and now under the current owner Tim Frost. 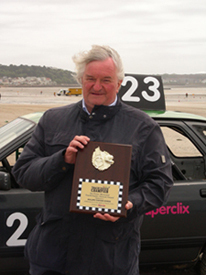 The TrackChaser Group extends their sincerest appreciation to Allan and Tim for honoring our group members. 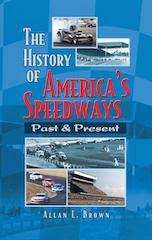 Copies of the 2018 (38th Edition) NSD as well as Allan Brown's 2017 (4th Edition) of the "History of America's Speedways" are available. You can order both books at the Speedwaysonline store! GO NOW! 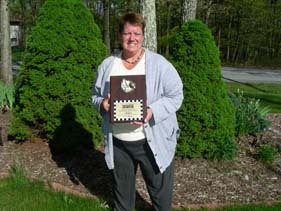 Or you can pay by check or fax. 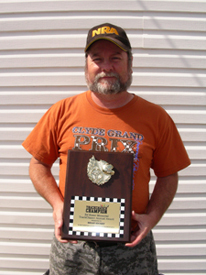 Download the order forms: 2018 National Speedway Directory or the 2017 Edition of History of America’s Speedways. 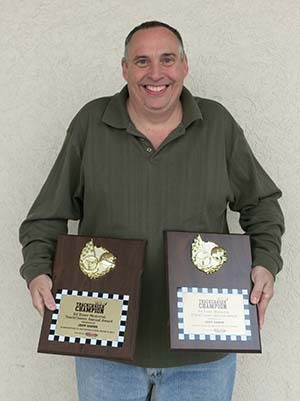 Beginning in 2011, the National Speedway Directory honored the top five TrackChasers in the group who visited the most new tracks during the current year. 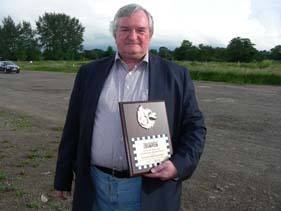 Lee Esser accepted the TrackChaser awards earned by his late father, Ed Esser. 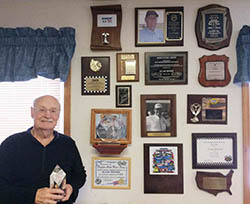 Ed's TrackChaser awards were on display at his funeral service. 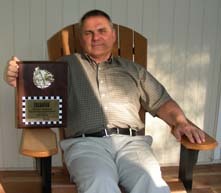 This award was established by Allan Brown, then owner of the NSD, and Guy Smith, founder of the TrackChaser group. 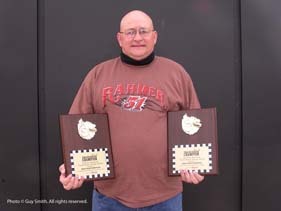 The award was named after Pappy Hough, first person we knew of to visit over 500 tracks. 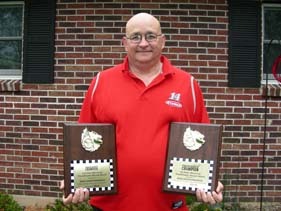 In 2011, new NSD owner Tim Frost purchased small replica trophies for each living group member whose name appears on the TrackChaser World Cup as a current or former leader of most lifetime tracks.